We are obsessing over this oversized jacket. 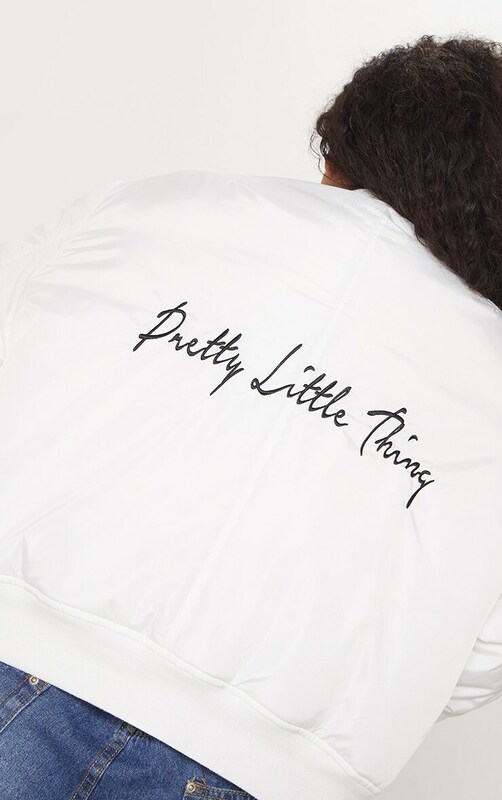 Featuring a white material with PRETTYLITTLETHING printed on the back, ruched sleeves and a zip up front, we are obsessed. Team it with your everyday outfit for a look we're loving.